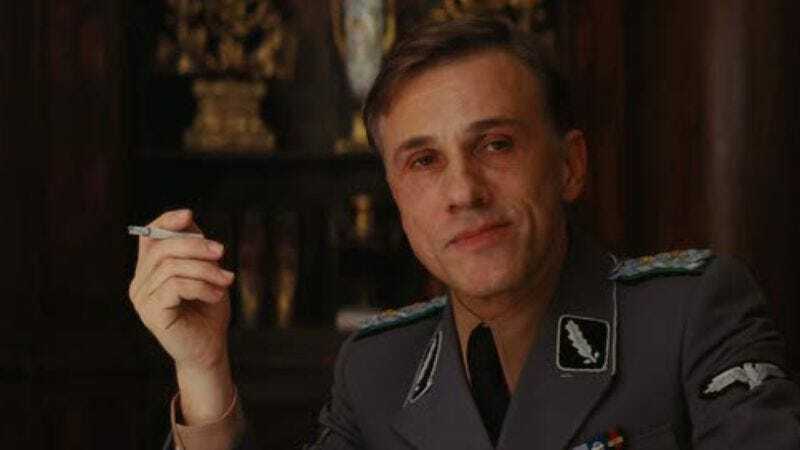 Mirroring the recent tensions between The Muppets and German-speaking nations, the next Muppet movie will find Austrian actor Christoph Waltz facing off against Kermit the Frog, et al., with Quentin Tarantino's favorite unsettling European becoming the first human guest star to join its cast. As reported earlier, Jason Segel left the franchise he helped revive in the hands of returning director and writer James Bobin and Nicholas Stoller, who have said that the next film will be "a comedy caper"—dropping a fairly obvious hint that they'll be following in the original Muppet Movie's footsteps with a Great Muppet Caper-inspired sequel. And now Waltz's casting as an Interpol agent all but confirms the film will have some sort of international setting for the Muppets to caper about in. It also hopefully confirms that Waltz will deliver some version of his Inglourious Basterds "rat" monologue to Rizzo.